Here's a brand new recording! It's an upbeat re-working of a pretty piano piece by Stephen Heller called "The Brook"; featuring breakbeats and happy electro. Hope you dig! 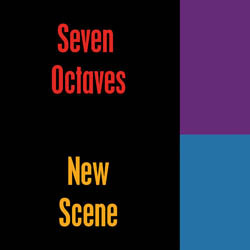 There's also a new Patreon page for Seven Octaves. If you dig the music I've made and want to hear/own more of it - check out the page and see if you'd like to be a subscriber. Memberships start as low as $3 a month. The page has inspired me to get busy making music again ("Little Crush" recorded in 2015!). There are some fun subscription options - including having songs written about or for you!